Alexander Tarkhanov, manager of Russian Premier League outfit FC Ural, has stated that he decided to omit Toto Tamuz from recent lineups because he is lacking match fitness. As a result of his lack of playing opportunities, Tamuz, 25, is angling for a move for in the January transfer window and there are reports linking him with a return to Israel, specifically Maccabi Haifa. “I've never seen anything like this,has overweight of 10 to 12 pounds and is not practicing. “Invited him to a meeting, but he ignored us. How can we continue to work with him?” Alexander Tarkhanov said. 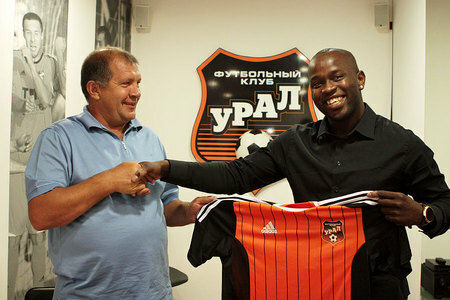 Toto Tamuz is under contract with FC Ural, the bottom team in the championship, until June 2015.